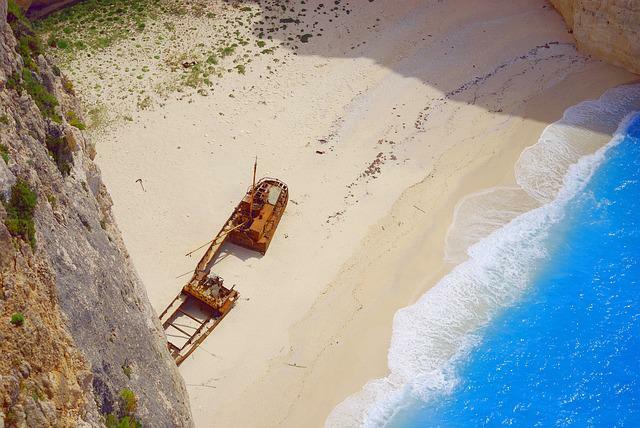 Navagio (Ναυάγιο, shipwreck) is one of the best-known beaches in Greece and attracts tourists from all over the world. It is located in Zakynthos (Ζάκυνθος, Zante), one of the Ionian islands in Western Greece. Last week, the rock was partially collapsed and seven people were injured. This is due to a physical, geodynamic phenomenon which can occur in areas of tectonic activity. The witnesses describe what follows as a scene from a biblical destruction: some people were injured, the boats overturned and everyone was running in panic. The beach is now closed down and the access to it is forbidden. Hopefully, the damage will have been restored before next summer. 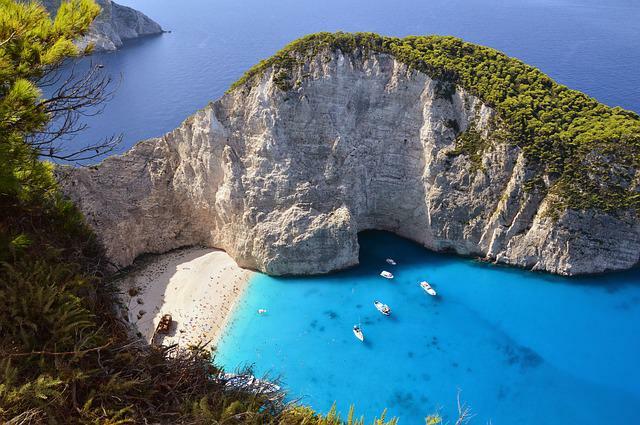 The experts claim that there are seven beaches in high risk in the Ionian islands. Αρμαγεδδών στην Καλαμάτα: τουλάχιστον εκατό άτομα έχασαν τις περιουσίες τους από τις πλημμύρες. / Armageddon in Kalamata: at least one hundred people lost their property because of the floods. Enceladus: According to the myth, Εγκέλαδος was the leader of the giants and was buried under the Mount Etna. Since then, from time to time he tosses and turns under his grave causing earthquakes. We also use the expression «το ξύπνημα του Εγκέλαδου» which means the Enceladus’awakening. Ο Εγκέλαδος χτύπησε ξανά την Λευκάδα στις 3:00 το πρωί. / Enceladus stroke Lefkada again at 3:00 a.m.